Harana is the Filipino word for ‘serenade’. Join us for a series of alternative guided tours, led by Filipino-Australian performance poets, of the exhibition Passion and procession: art of the Philippines . Interpreting visual art through poetry, this experience will provide a unique perspective on the vibrant contemporary artworks on display. 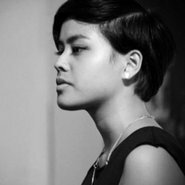 Poet Eunice Andrada will probe the violence of displacement and the mosaic histories of the female body. Through poems both personal and political, Andrada will explore the stories fractured across the Pacific as she traces the points of collision between what remains and what has been lost. In her exploration of blood memory, Andrada’s poems will question truths surrounding geography, nationhood and home. Artists and poets compose to recompose themselves and their histories. And when in conversation, the artwork and the poem can resonate and reframe each other as a new body. Poet Merlinda Bobis will consider body memory, and how as the body remembers, it also re-members to restore itself. Poet Gloria Demillo will explore the idea of sacrifice and love through the experience of women. She is drawn to both the religious concepts of female sacrifice, exemplified through the Virgin Mary, and the everyday constraints of gendered roles that mirror this sacrifice.